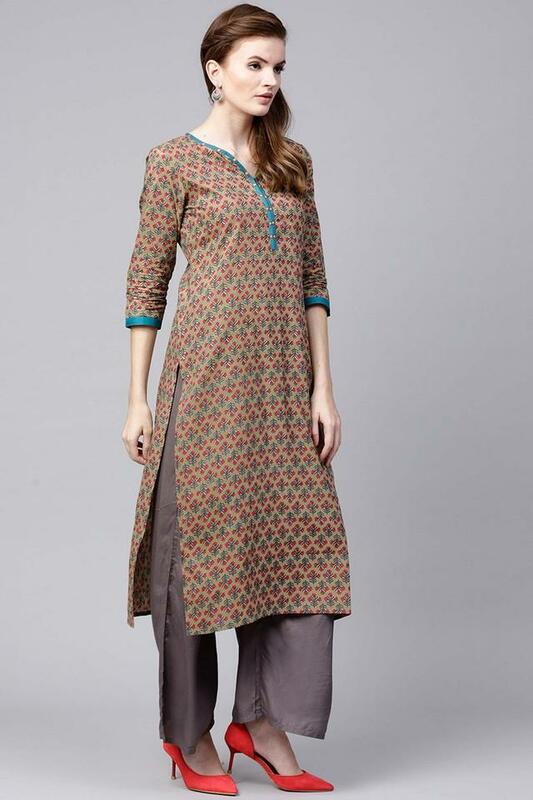 If you want to keep it simple yet smart, this kurta from Varanga will be the right option to go for. 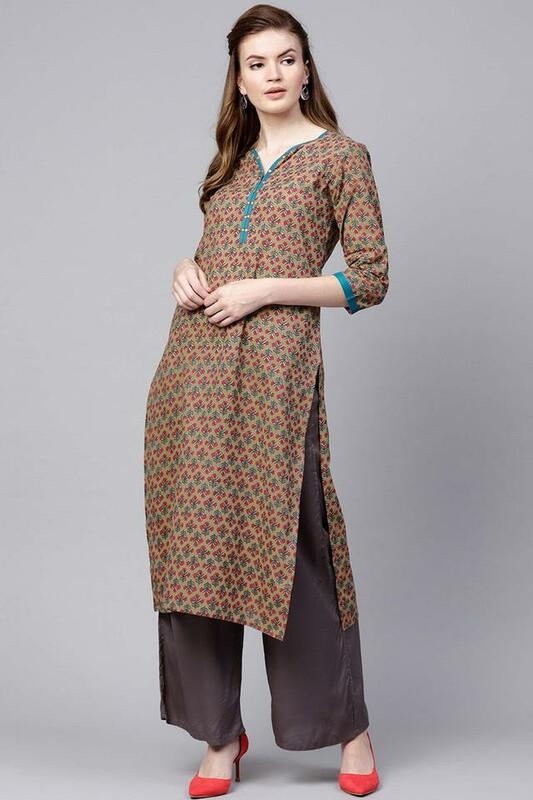 It flaunts a V neck, which looks great with the print pattern of this attire. Besides, the three quarter sleeves further add to the overall design. 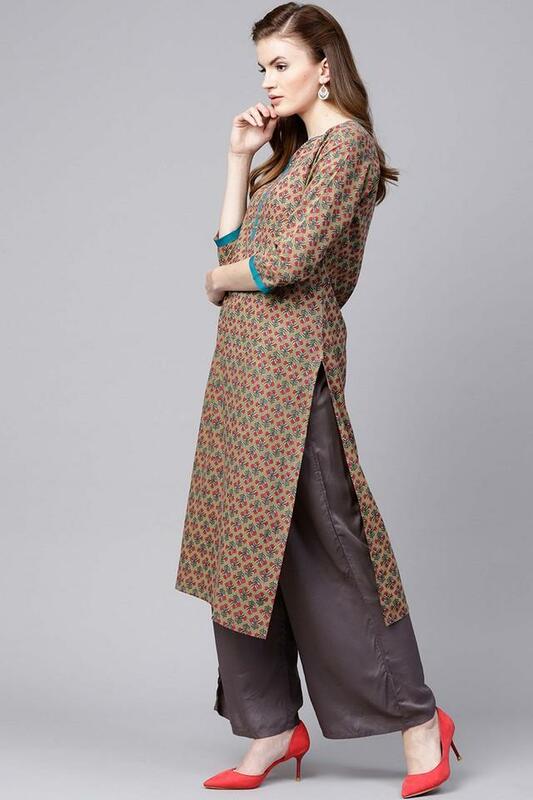 A fusion of style and comfort, this kurta will be a great choice for any casual occasion. 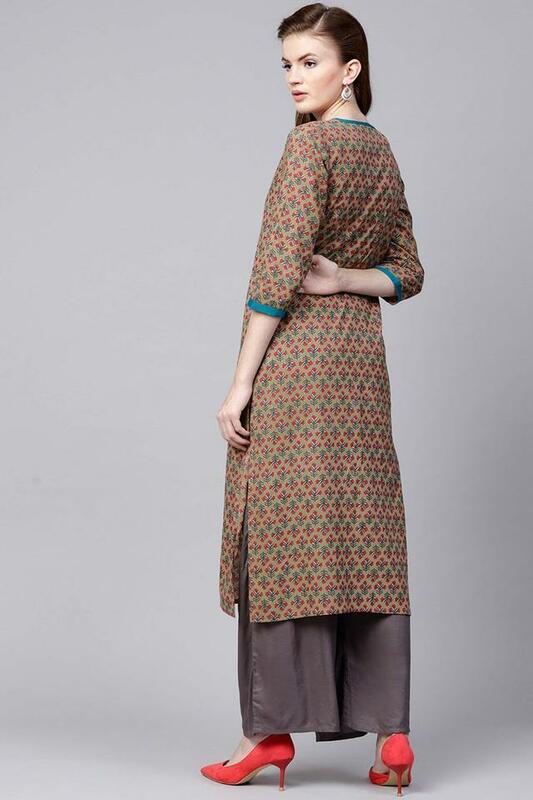 Club it with a pair of leggings and wedge sandals to look chic.